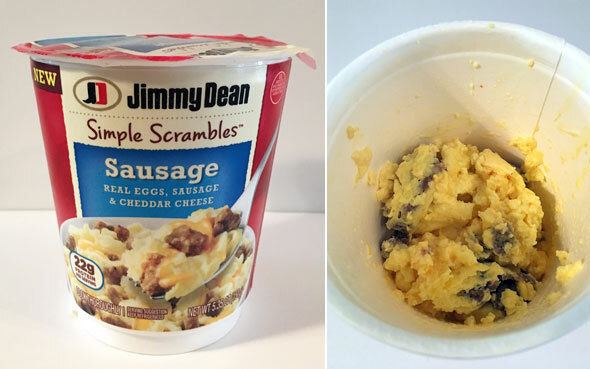 I tried 2 varieties of Jimmy Dean Simple Scrambles: Sausage and Meat Lovers. They were both pretty good. They're not the most attractive scrambles you'll ever have, but the flavors and texture you hope for do come through. There's a couple things you should know. First: The amount of food will probably be less than you expect. Once fully cooked, the cup the product comes in will be just slightly over 1/3 full. It's still a decent, fairly-filling amount. Second: Preparation is two steps longer than you probably expect. Within the cup is a smaller cup of liquid egg and a small pouch filled with meat and cheese. First you microwave the egg and then you stir in the contents of the pouch. It all takes less than 2 minutes and is very easy to prepare. Of the two varieties I tried, I preferred the Sausage Scramble just slightly more. The sausage flavor is very pronounced and there's significantly more cheese than in the Meat Lovers variety. The eggs were fine. They stayed moist, but were slightly crumbly in texture. For some reason, the Meat Lovers Scramble required 15 more seconds of cooking than instructed on the package. There was some liquid remaining in the bottom of the cup, but a few more seconds of cooking fixed them right up. 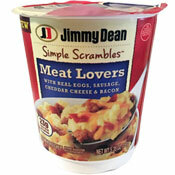 I liked the bacon flavor in the Meat Lovers version, but the sausage and cheese were less noticeable. Overall, these were quite good. They're found in the refrigerator section of the grocery store. They're better than similar products that are found in the freezer section. If you find them for a good price, I recommend you try them. Note: There's also a Bacon Simple Scramble variety available. We didn't try that one. If you did, let us know your thoughts below. What do you think of Simple Scrambles? I had the Turkey Sausage. It was easy to make and very tasty, but I think the price for amount you get is high!! Just finished the bacon; I beg to differ with j.o and Valley girl. Right on the front of the cup just below the bubble with the protein rating are the words in capital lettering... KEEP REFRIGERATED. I have tried the sausage and the bacon. Both were surprisingly good. Just enough to take the edge off of early morning hunger. Both did require a little longer time in the microwave but that's ok. I find this to be the case with a number of different items... depends on the power of the microwave, although on the back it says under 3 minutes and I found that to be the case. There is a disclaimer at the bottom of the cup under the directions about the timing and cooking. Most things containing EGGS need to be refrigerated BUT when in doubt refrigerate. Easy to make but disappointed in the taste. I just tried the sausage. Doesn't taste anything like Jimmy Dean Sausage. I love Jimmy Dean Sausage. Sausage very bland. Love these! Great breakfast with an English muffin. Very filling. Love these. Easy. Great taste. Keeps you going all day. Remember folks, if you purchased these items in the REFRIGERATED section of the market, store them in your REFRIGERATOR when you get them home! By the way, they are AWESOME. Flavor to taste with hickory smoked sea salt and pepper along with just about any spice that floats yer boat. I always put pepper first in prior to initial microwave, then, when mixing in packet of meat/cheese that comes with the product, I mix in the other spices then finish microwave process. Works for me. YMMV... Enjoy! Why would anyone put this item in the pantry when they bought it?! It was in the refrigerated section when they purchased it! People need to use common sense, anything with eggs needs to be refrigerated! 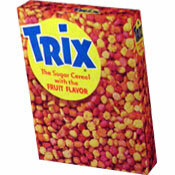 I have been eating these for several months! Love them and just the right amount unless you eat a ton of food for breakfast. Just lost $7.50 throwing away 3 of these. After hunting all over 3 times, I finally located tiny, tiny words next to the word: 'Microwave' that said Serving Suggestion Keep Refrigerated in a dark bubble. Wish I could send a photo of it. I consider that evil. How many are sick because of that! The Bacon and Egg are the best of the three and are quite tasty. Sausage are a bit flavorless and Meat Lovers is okay. 23g of protien and 1 carb. Currently eating the bacon and cheese. Salty. Bacon is rather chewy as well. Loved the bacon and cheese. Filling, and low carb! The bacon and egg one made me feel sick. The sausage and egg one was very good. I agree w/ j.o. At least yours were frozen. I put mine in the pantry. I never tried it, put them in the trash after I got one out and looked at cooking directions. Then, and only then, did I notice the micro 'keep refrigerated.' Poor packaging. Looks like all other cups to-go. Way better than frozen. They have them at Walmart in the fridge section next to their meats. Not to bad! They are filling and I love the sausage one the best. The bacon was too chewy for me. I love to make my own but when in a crunch, these do very well! I do cook them longer then they say because I like my eggs dry and not wet. Disgusting, eggs were gelatinous! Ate at a friend's house before work... was puking it up before I got to work. Do not buy/eat this! I am with @WantOMELET. I have been eating the ham & cheese omelet for years. Am really disappointed that this product has been discontinued. Don't like the 'Bowls' or other products. Will try Scrambles, but am not hopeful. 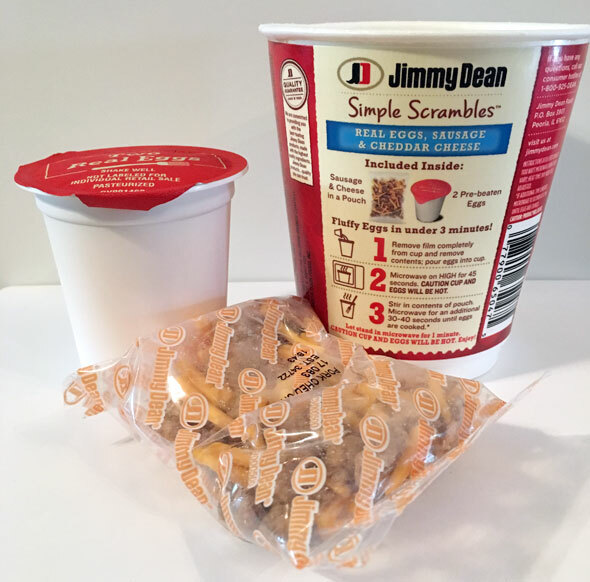 My husband brought home two cups of Simply Scrambles and put them in the freezer! When I got one out to fix this morning, of course the eggs were frozen solid. We looked on the container to see if it said this could be frozen or how to store it, but nothing was mentioned. Then looked online and found nothing either. Guess we are pretty stupid! Do we have to throw them out? Thanks. Since these aren't frozen, where in the store are they located? Love these... quick and easy! I have eaten the Jimmy Dean ham & cheese omelet for over 10 years. Now I cannot find them anywhere. I tried this product and was disappointed. Higher cost and lower quality. Eggs are too grainy tasting. I tried the bacon one. I had to keep microwaving about 3 times after I mixed in the meat and cheese in 30 sec increments and it puffed up to almost fill the cup. Kind of salty, but pretty good!